When it’s hot, we all want to enjoy a cooler home, but we would also like to save some money on our energy bills and reduce the strain on our AC systems. Air conditioning consumes a great deal of energy, even if you have an evaporative air conditioning system. Cranking the AC system up will drastically increase your energy bill and wear your equipment out earlier than expected. Regular servicing before a cooling or heating season begins can really help, but reducing the AC system usage and keeping cooler is possible. 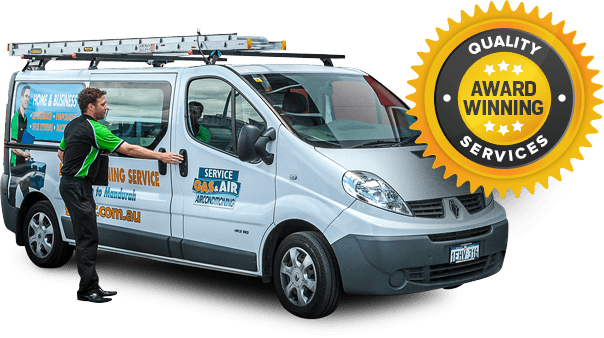 You need an evaporative air Conditioning service or installation contact Gas&Air for more information. Let’s look at two tips for staying cool and reducing the strain on your AC system. Taking care of yourself and your needs during a hotter part of the year can really help you to stay cooler and save money on running your AC system. Firstly, avoid carrying out heavy or strenuous work during the hotter periods of the day and if you are working outdoors stay hydrated and take plenty of breaks. Secondly, wear lighter clothes in paler shades to reflect the heat of the sun away from your body and to feel more comfortable when it’s hot. Thirdly, try to avoid drinking caffeinated drinks and alcohol as they don’t help with rehydrating the body or quenching thirst effectively. Finally, keep an eye on neighbours that don’t have AC systems and don’t leave children or pets in an unattended car. During the night you can give your AC system a well deserved break and open up the windows to increase air circulation for cooling the home. During the day make sure that your blinds, shades or curtains are used to keep the sun out of the rooms in your home. If you want to use a heat generating appliance, such as a clothes drier, hair dryer or oven, use it at night if possible to reduce the build up of heat. If you have some free time and need a walk, visit a shopping centre with air conditioning and turn your system off for a while. Using fans in your home is a great way to help distribute the treated air throughout your home. Finally, don’t forget to get in the pool to cool off with a nice swim. If they are interested in evaporative air conditioning, Perth based residents should contact us here at Gas&Air. We supply, install and service a wide selection of cooling and heating equipment for domestic and commercial clients. If they are interested in evaporative cooling, Perth residents can be assured that we are their local experts. We take great pride on the quality of our installations and servicing. Our team is standing by to discuss your needs in greater detail, and they would be happy to answer any other queries that you may have.